Back when I had a forum on this site someone posted a utility that allows you to back up printer drivers on one computer and restore them on another. This utility has saved me countless amounts of time, especially when setting up new computers. And since I don’t have the forum anymore, I felt like I needed to re-share it. 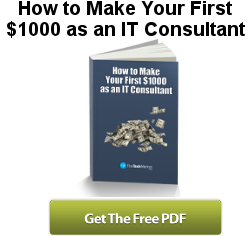 So in the following article I would like to show you how to use this great tool. The first step is to download the Microsoft Print Migrator utility. 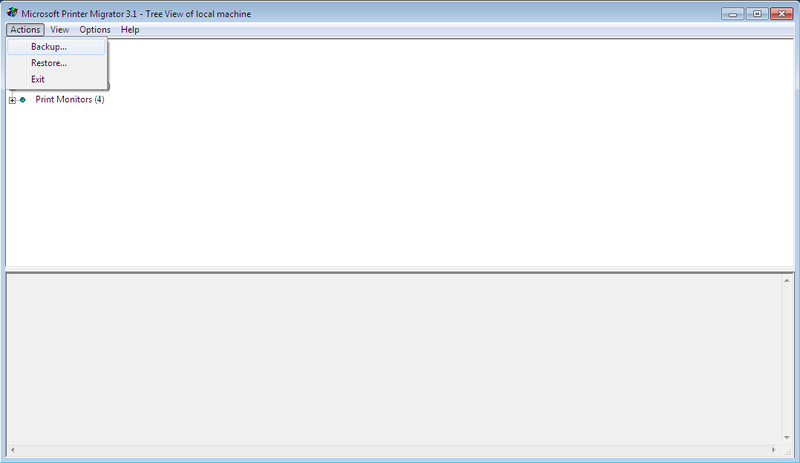 This utility was actually designed to backup printers on print servers but also works on desktops. It’s also a stand-alone app so it can be ran from anywhere including your flash drive. Once you open the Print Migrator, click on the “File” menu and select “Backup.” You will now choose a name and a location where you will backup your printers to. Click the “Open” button to begin the backup. Now you are ready to restore the printers on another computer. To restore them, just transfer the backup file and the Print Migrator utility to the other computer and open the Print Migrator. You are now ready to use your printers. So you see how you can use the Ol’ MS Print Migrator software program to perform the backup and restore printer drivers to another computer. Not mentioned above is that it might only be required under certain circumstances these days. Thanks again to the user TheKoz who originally shared this utility. This is a good tool. It seems like it carried all of the drivers to the other computer. When I plug in the printer, I see the “Add Hardware Wizard” window comes up. So i just click Next to let windows install it but it cannot find the drivers. I looked under Device Manager and it has a section called “Other Devices” and under that “Hewlett Packard. But I was able to communicate with the printer and print a test page. Do you know how to fix the Add Hardware Wizard from popping up? I’ve never run into that problem when using this utility before. Does the printer have a card reader? If so, that’s probably why you are being prompted because this utility won’t copy over that driver. You would have to go to HP’s website and download the full driver to fix it. I have a HP Deskjet 3820 which does not have a card reader. Looking at the properties of the “Hewlett Packard” under “Other Devices” in Device Manager it says something like “on HP USB Printing Support” or something similar to it. This is also doing it to other standard printers as well. No extra features on the printers, just printing. Okay, try downloading the drivers from HP’s website and see if that fixes the problem. There must have been something with the USB support that it couldn’t copy over for some reason. Let me know what happens. Downloading and installing the drivers for the HP printers worked. This fix is fine if i were trying to migrate just 1 printer but i’m working on a project that is re-imaging all their computers in the company (3000 PCs) where there are many different printer models and manufacture. So this would be a pain to try to re-install all the drivers again. 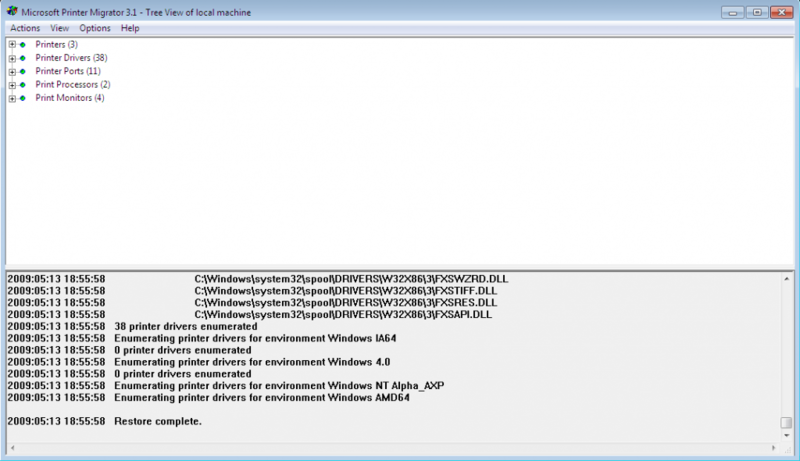 Do you know what could migrate this particular USB printing driver support? Unfortunately, I don’t know why it’s doing this. Like I said, I’ve never run into this problem before as long as I have been using this utility. Hopefully this will work on the rest of your drivers and save you the trouble from at least having to reinstall all the others. This works great for the printers, which won’t show up on a normal driver backup utility like WinDriversBackup. Use the above in tandem and you should be able to restore everything, though if you are re-imaging that many computers I’d hope you would have better imaging solutions. thanks a lot, it’s awesome. Very useful for my work. Thanks I was having such hassles getting window 7 drivers for my HP Desk Jet 930c – HP sent me to Windows Update and windows update sent me to HP. I had it working on my one computer. So your suggestion worked perfectly. Thanks again. saved me loads of work – had to transfer settings for 3 network printers and this tool is really sweet for that. 와 님아 감사여. 나도 똑같은 문제로 윈7에서 드라이버 백업하려고 찾아봣는데 구글링으로 드뎌 찾았네염. 님 짱드삼. 이거 정말 물건이네여. 감솹니다. 나는 한쿸인이라 영어를 못해여. 구글번역기를 함 돌려서 읽어보세여. It looks like a nice utility, but I could not get it to resore to another workstation. I backed up on one workstation which had 28 network printers, but I could never get it to resore on another workstation. It looked like it was loading everything into the restore workstation, but it didn’t. Same thing here. I have a network with about 7 printers. I backed up from one windows 7 machine, restored on another. It looks like it’s working, but doesn’t actually do anything. Thanks a lot, Casey ! Your article was the only with working download link for that tool! I couldn’t find it on any Microsoft websites as it became deprecated. Print Migrator helped me very much! How can I export printer settings (name, share name, location, comment fields) without any driver settings? And later restore them? I can assign the driver later to the printers. does it work if i want to copy the driver from computer with win7 to computer with win8? This is wonderful tool and it has saved my lots time and work in print server migration. Thanks you very much and appreciated your tool and efforts. Won’t even do a backup for me. Program wants to know where to look for the file, almost as if it was trying to do the restore. Yes, I selected the “backup” option in the “Actions” menu. how can I migrate only a particular printer or few of them? I suppose the tool will grab all of the available printers at the same time? I haven’t tried to only migrate one or a few of them. I can say there is the menu system (visible in screenshots above) and if you click on the cross of the menu tree, you can expand it and perhaps you can select one or more once expanded, before you click to back up printer drivers. Otherwise you might have to remove the ones you do not want after the migration (less preferred in your case I guess). After an epic battle with Print Spooler on Windows 7 the printer driver for a Xerox MFP refused to install no matter what I did-an error message window showed up and all install attempts failed. No registry cleanup, removal of partial driver install and reinstall or Print Spooler reset was successful. 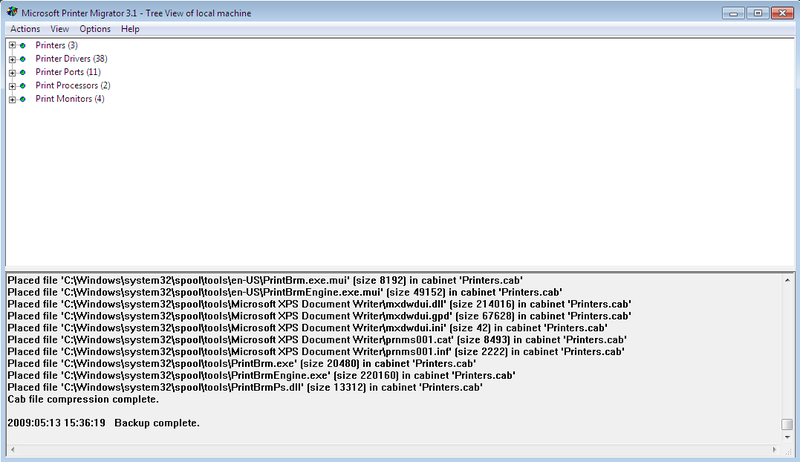 I was about to contact Xerox support for some help with this well known Print Spooler lockup error on Windows 7 (I fail to remember the error code now but I saw online it is a very frequent problem). Then I found this nice page here and simply followed your advice-I installed the driver on another Windows 7 machine, I backed it up and then I restored it on the problematic Windows 7 install. All went well and the Print Spooler lockup was avoided in a very clever way. The driver works perfectly so far and I installed the remaining control and scanner software with no problems. Great trick that solved it all after so much trouble with Print Spooler. Thanks a lot Casey!